It’s official: The Holiday Season has arrived. How that generally manifests itself is six weeks of ritual and tradition, making annual reacquaintance with the usual suspects of familiar friends, family, food and entertainment. That’s easy, of course, in a city that has a bumper crop of traditional holiday events. Ours does, so let’s take stock as the festivities begin. There was a time – not so long ago, actually – that “black Friday” was an insider’s term used by retail accountants and economists. Today, one gets the impression Black Friday (as it’s now referred to) is the real holiday and that Thanksgiving is just fuel to prepare us to shop. Fortunately, there are events like the Fountain Square holiday celebrations to keep us from drowning in cynicism. The ice rink opens for the day at 9 a.m. By noon, you’ll have skated up an appetite, and the Cincideutsch Christkindlmarkt will have the perfect remedy: a wurst, a pastry and a cup of hot glühwein. The main event is at 6 p.m. Before the switch to the lights on the city’s official holiday tree is flipped on, Light Up the Square features live music from 2nd Wind Band, a visit from Santa and, to cap off the night, fireworks. Macy’s once again sponsors the event despite the ironic juxtaposition of its abandoned downtown store across the street. It’s another multimedia event at The Mini as Emotional.Store, the artist duo of Scotty Wagner and Bailey Hikawa, present two videos and a live performance. Different themes have attached themselves to the days of our biggest shopping weekend of the year. Saturday has gained popularity as a day to celebrate (and patronize) local, independent stores. To mark the day, Cincinnati’s biggest local, independent bookstore has assembled a roster of Cincinnati authors to be on hand as patrons (here’s where you come in) peruse the offerings on everything from local history to trivial tidbits to fantasy to children’s books. Yes, we know 98° is technically … let’s say … of vintage popularity. Since their days on the Top 20, the heart of the group, the Lachey brothers, have remained impressively dedicated to their hometown. This year, they boys get the band back together for a night of holiday-themed music at P&G Hall in the Aronoff Center. If any culture has learned to embrace the joy of winter, it’s Russia’s. Why not take in some Slavic cheer in the warm confines of Music Hall? There’s Glière’s “The Sirens,” Prokofiev’s Piano Concerto No. 3 and Tchaikovsky’s bombastic Symphony No. 4. Ukraine native Kyrill Karabits conducts; Alexander Gavrylyuk, born in Cincinnati’s sister city of Kharkiv, Ukraine, is piano soloist. Program repeats 2 p.m. Sunday. You may think you don’t know what a theremin is, but, as soon as you hear it, you’ll realize the only thing you didn’t know was the instrument’s name. (And you’ll probably get visions of 1950s Martians invading.) Perhaps the coolest thing about the theremin is that it’s the only instrument that’s played entirely without touching it. You have a chance to see it in action in a special recital at Miami’s Souers Recital Hall. 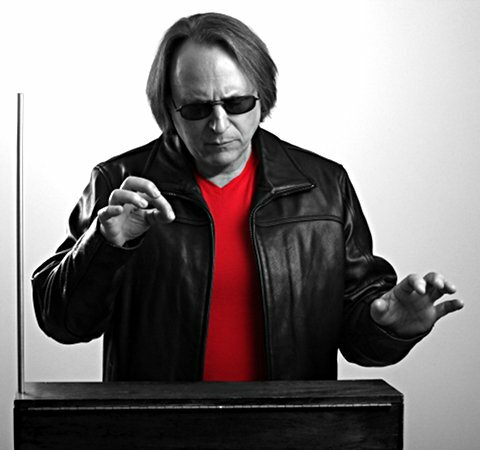 Theremin virtuoso Rob Schwimmer shows off the musical versatility of this rare instrument in a solo recital. Schwimmer will stick around Oxford for a couple of days, too, to perform with the MU Symphony Orchestra. On Wednesday, Nov. 28 (sorry to stretch the week a little), he joins the orchestra in a program of cinematic orchestral music. The program at Hall Auditorium includes the mini-piano concerto written by Miklós Rózsa for the soundtrack of “Spellbound” and excerpts from Bernard Herrmann’s score to “Vertigo.” That concert is also at 7:30 p.m.
Is it technically opera? Maybe not, but NKU’s Opera Workshop at Greaves Concert Hall takes on America’s most operatic Broadway composer for a showcase of favorites that trace Sondheim’s career from “A Funny Thing Happened on the Way to the Forum” through “A Little Night Music,” “Company,” “Sweeney Todd,” “Sunday in the Park with George,” “Into the Woods” … and more. He’s baaaaaack. Bruce Cromer, we mean. 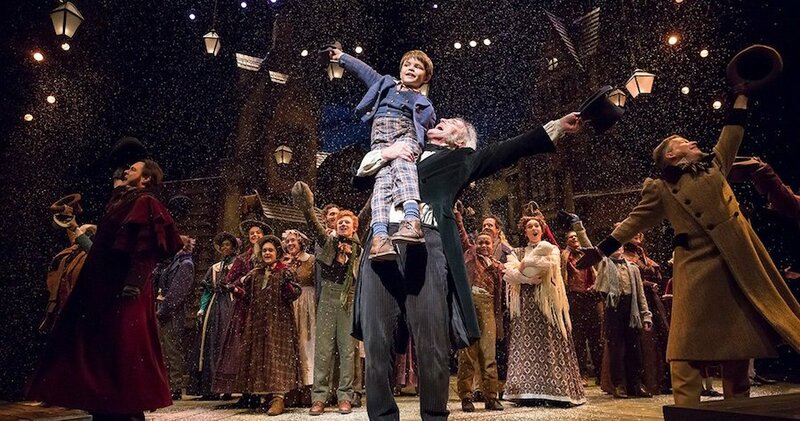 Fresh off the one-man tour-de-force “St Nicholas” with Ensemble Theatre Cincinnati, Cromer once again takes on the mantle of Ebenezer Scrooge as the star of the Playhouse’s annual production of the Dickens classic. You know the story: Miser is visited by three ghosts to teach Mr. Humbug the true spirit of Christmas. Runs through Dec. 29, and many performances sell out, so best get your seats now. You no doubt recall the “League of Extraordinary Gentlemen” film of 2003. What if it was not the only secret society of crime-fighters in Victorian London? Meet the Society of Lady Detectives and, in particular, member Susan Swayne, who must solve a vexing puzzle in this period farce. Through Dec. 16. The art museum’s final evening party of 2018 has been moved to midweek due to the holiday, and truly will be after dark this time, thanks to our still-shortening days. The Thanksgiving Eve event features live music, food from Eli’s BBQ, specialty cocktails and, oh yeah, art. Attendees get free access to both current exhibitions, “The Fabric of India” and “Life: Gillian Wearing,” and docent-led tours of “Life” also will be available. Must be 21, and arrive early or you won’t have much room to mingle. The 13th annual holiday show opens at 4 p.m. Friday and runs through Dec. 23. Enjoy holiday treats and warm seasonal beverages while you shop for locally made, handmade gifts. They’ll even wrap your treasures for you. Hours are somewhat limited, so check the event site or call before you head to OTR. 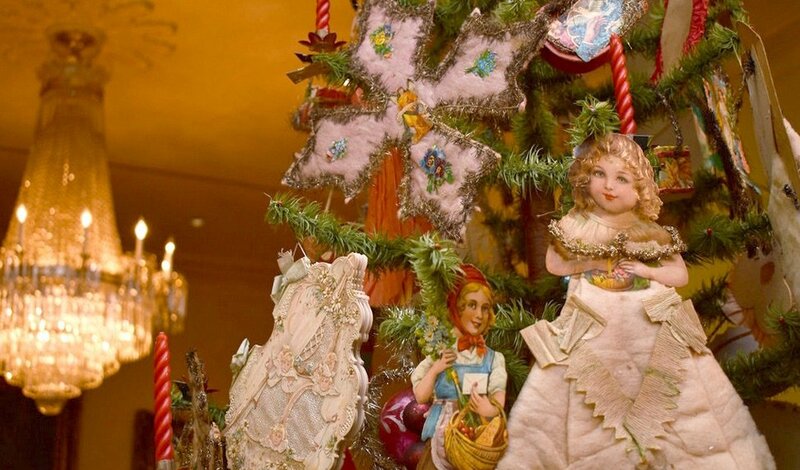 The Taft Museum is already dressed in its holiday finest for the annual Antique Christmas display, but, on Sunday, that’s complemented by a day of activities. Create your own ornament, take a photo with Santa, hear holiday stories and even meet a penguin. The café will be open, and, of course, so will the museum shop to help you find the perfect gift.